We may have an entire digital library full of our special photographic moments but there’s still something about a physical album. Like the one our parents and grandparents have had for years. There are times when you simply feel like cutting off from the digital world and sitting back with an album filled with every good moment you’ve had over the years. But thanks to technology, even that requires a smartphone or computer today. I don’t know how many of you enjoy Polaroid moments but I have been adoring this form of instant photography ever since I came to know of it. Imagine meeting your cross border friend and sharing a Polaroid moment with him/her then and there. 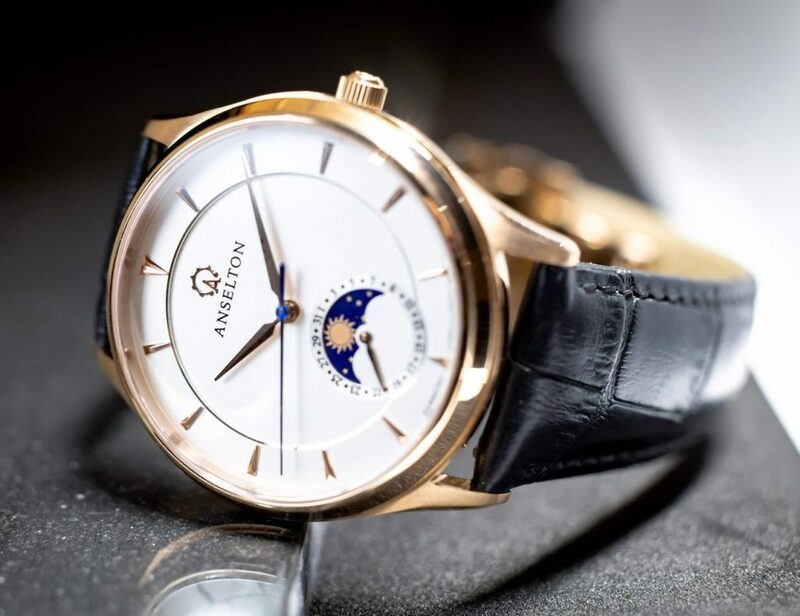 Yes, you can share your photographs with anyone and everyone using a few clicks on your phone but I would still prefer an instant photograph I can cherish for years on my hand. 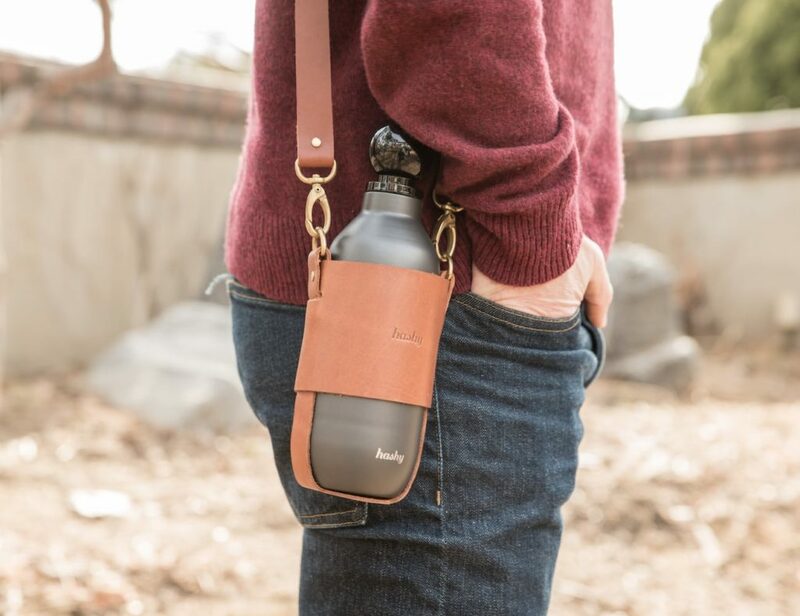 What if I say there’s something that blends the two worlds without letting you compromise your passion for printed photos as well as a smartphone digital album. 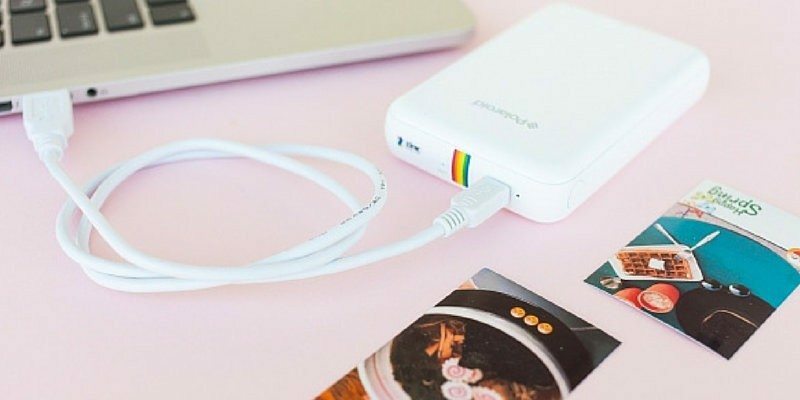 Polaroid Zip Instant Mobile Printer is designed for the 21st Century, only in a way that makes you cherish printed photos and not just digital ones anymore. 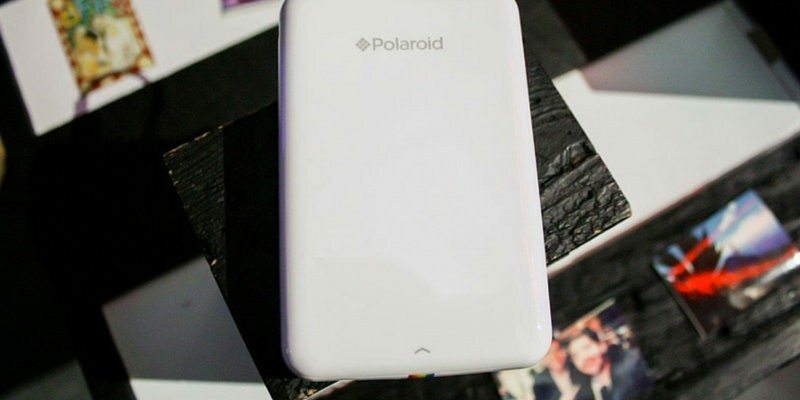 Polaroid Zip is meant to be a pocket sized printer you can carry anywhere and everywhere. 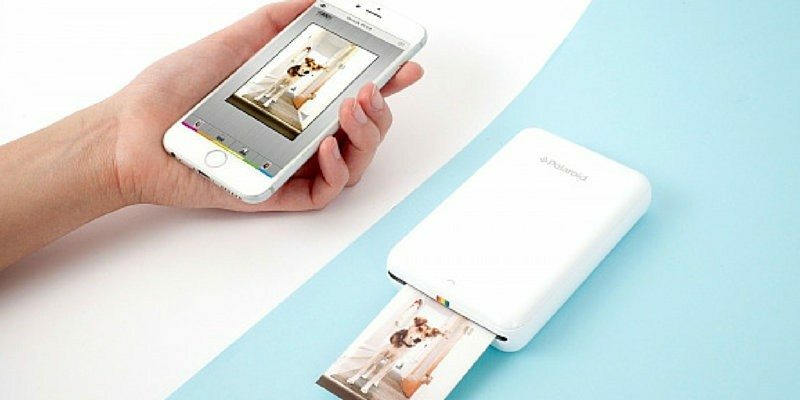 It can print photos directly from your smartphone or tablet via Bluetooth or NFC technology in about 60 seconds. 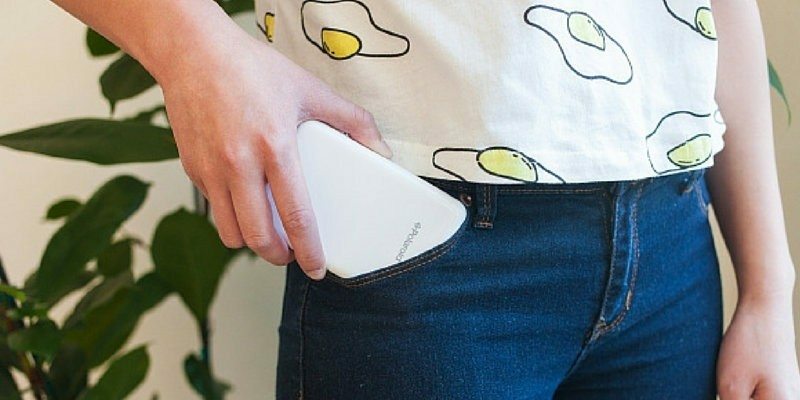 The rechargeable 500 mAh lithium polymer battery can print 25 sheets per charge. A standard micro-USB port is enough to connect it for charging which means you won’t require any special adapters. 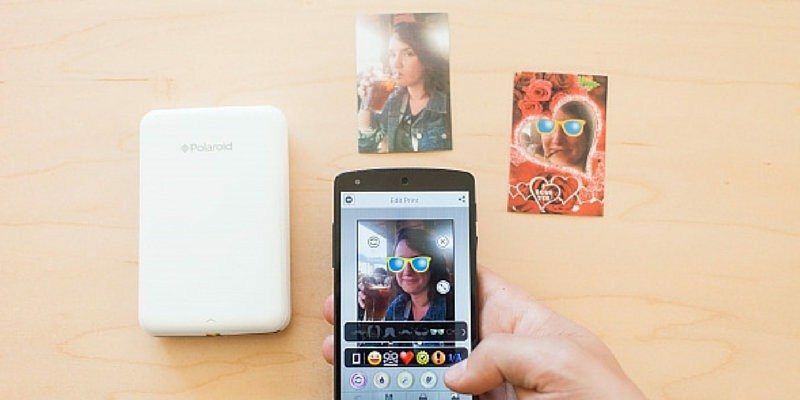 It will give you 2 x 3” full-color, smudge-proof photos with a sticky back for extra fun. 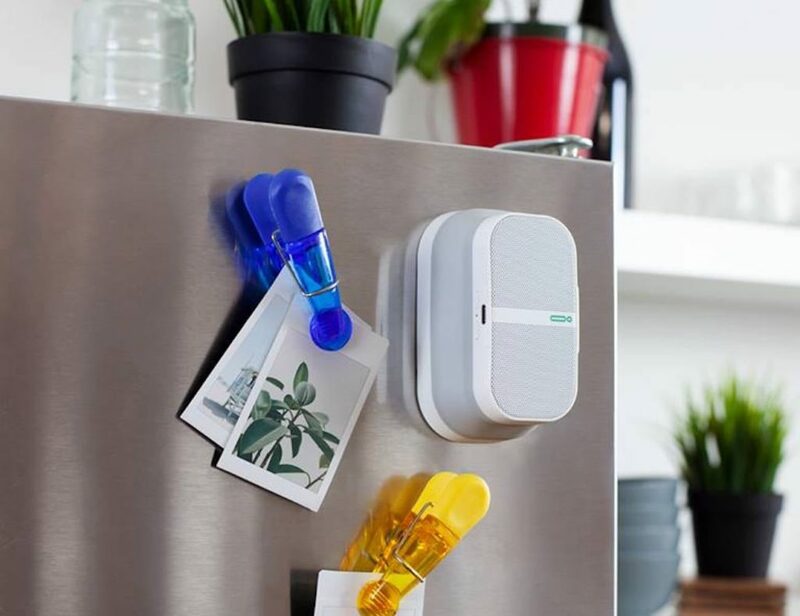 This means every special moment you come across each day can now be a part of your physical album or soft board anytime. 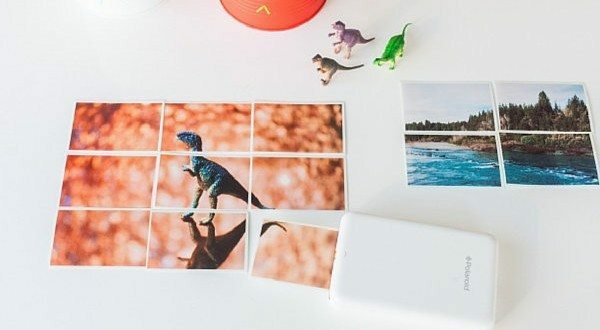 You won’t have to wait for your power-hungry smartphone to charge up in order to view your photos anymore. 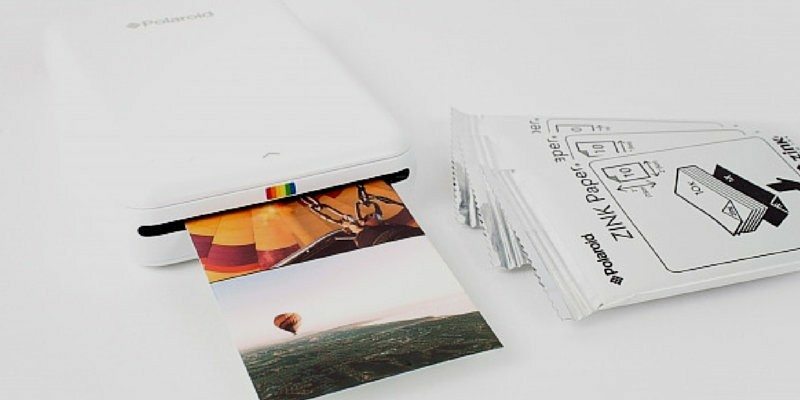 One of the best features of the Polaroid Zip is the use of ZINK zero ink printing. This will enable you to produce photo-quality, full-color output without using ink cartridges, ribbons, or toner. So you require no cartridges and will definitely not face any of those hassles you generally face with standard printers. The printer will ship with 10 premium ZINK sheets and you can purchase more based on your requirement later. This form of cartridge free printing is done by activating unique color-forming molecules embedded in the paper’s layers when the paper is subjected to heat during the printing process. Another plus of this printer is the corresponding Android and iOS mobile app. 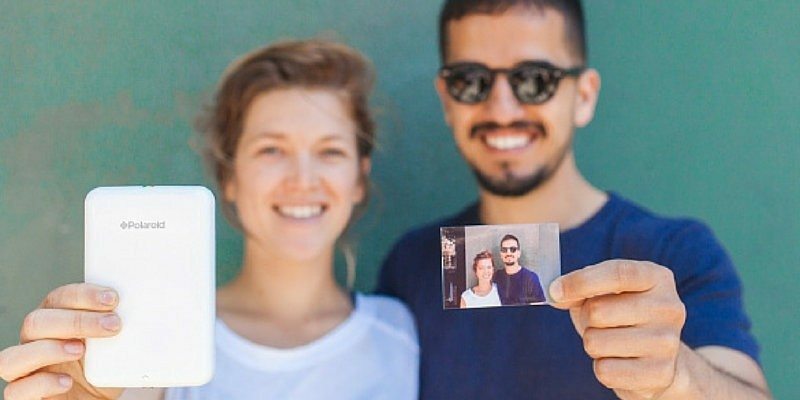 The app will give you the opportunity to edit your photos before printing. So you can add emojis, voice recordings, general text, links and a lot more. Even embed a password protected QR code to share secret information with your special friends and family. Time to gear up with one of these printers in hand, available at a price of $129.99 on Amazon. Grab yours now and don’t forget to share some of your favorite prints with us in the comments below. Happy Gadgeting!